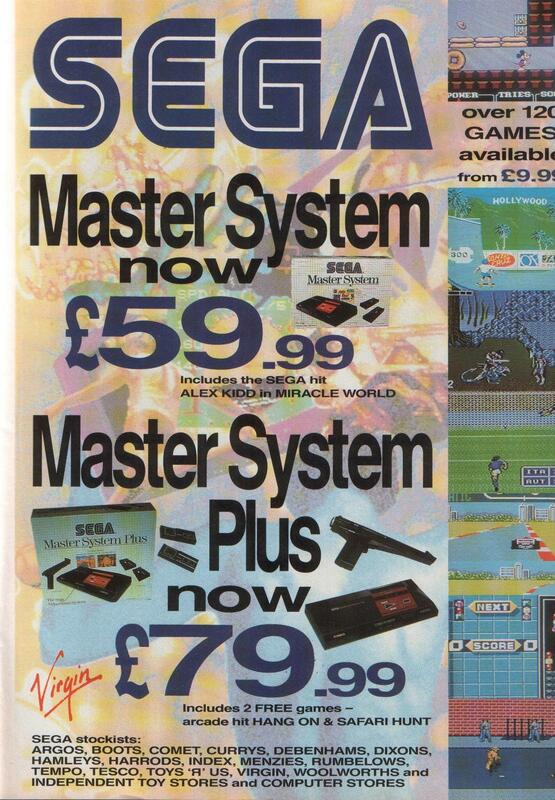 £59.99 Master System with Alex Kidd in miracle world, or £79.99 Sega Master System Plus! Another Virgin AD. 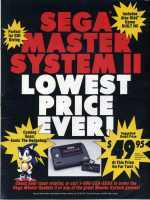 Scan taken frome Mean Machines. 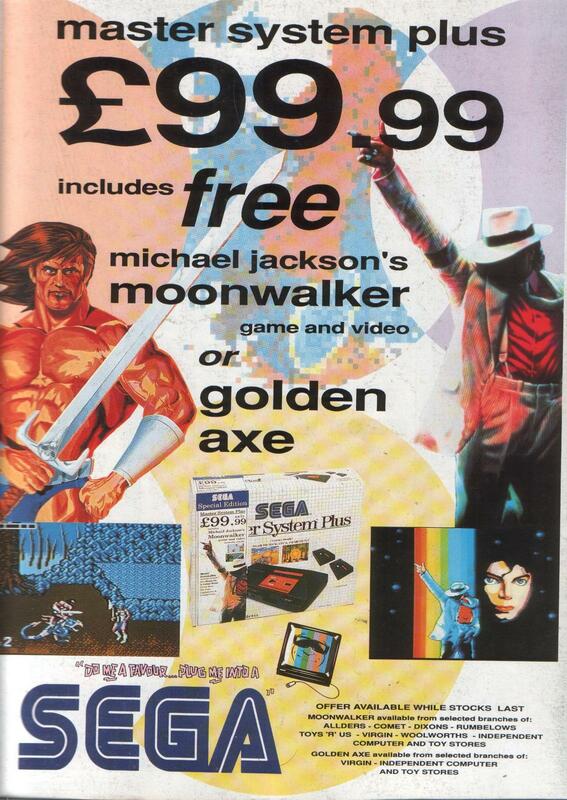 £99.99 Master System Plus including free Michael Jackson's Moonwalker or Golden Axe. 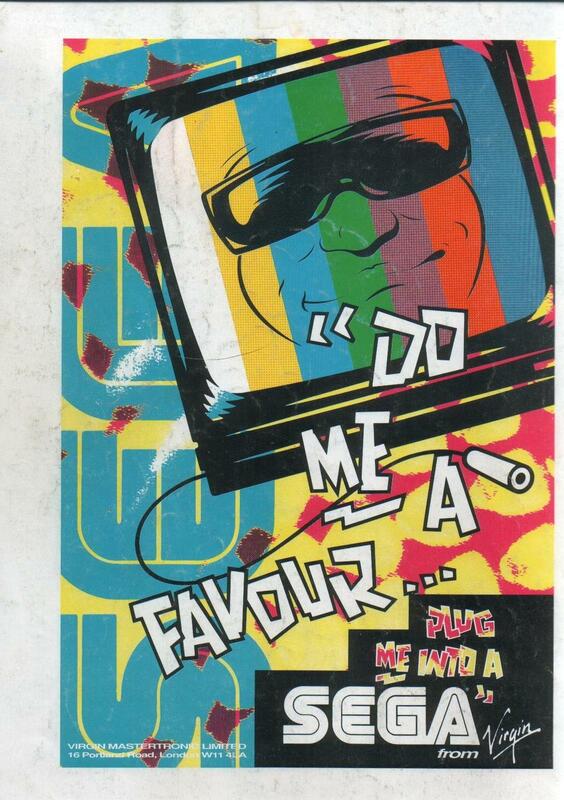 Scan from Mean Machines Magazine. 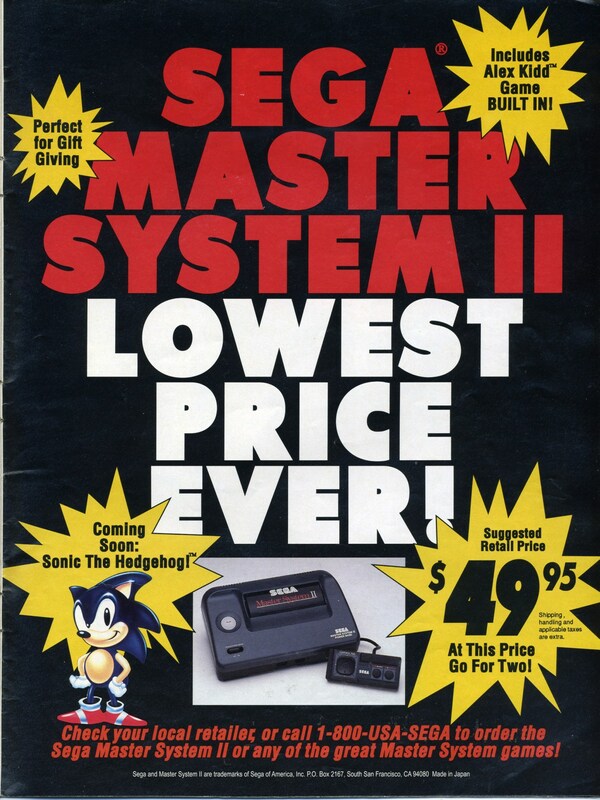 Do Me A Favour - Plug me into a Sega - Virgin Ad. During Virgin's UK AD campagin this AD shows the chosen slogan. Sega Visions Issue 006 page 35. Ad - Sega Visions Issue 001 page 6. 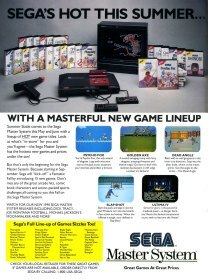 Showing " A Masterful new game lineup" including Psycho Fox, Golden Axe, Dead Angle, Slapshot and Ultima IV.